If you stop to think about it, department stores have made our lives so much easier. You can shop for clothes, apparel, jewelry, crockery, shoes and many more items too, all under one roof. Although department stores are popular amongst women, they do tend to attract a few men here and there since these stores also cater to men. Women generally love shopping at department stores. Whether you are looking for a new suite or stylish pair of socks the first thing that comes to your mind is to head down to a departmental store. Two of the most popular departmental stores are JCPenney and Kohl's. Revenue and net income are a great way to gauge a company's financial strength and overall stability. JCPenney seems to have had revenues of $18.5 billion dollars, with a net income of $572 million dollars for the fiscal year 2009. On the other hand trailing behind, Kohl's had a revenue of $16.4 billion dollars and a net income of $885 million dollars for the fiscal year 2009. A company's total assets and equity is a good way to gauge, what the company owns. JCPenney's total assets are predicted at $12.0 billion dollars and has a total equity of $4.16 billion dollars. On the other hand, Kohl's total assets are at 11.3 billion dollars and has a total equity of $6.74 billion dollars. JCPenney is a chain of American mid-range department stores that has its headquarters in Plano, Texas. JCPenney has 1,106 stores in all 50 U.S states as well as in Puerto Rico. Kohl's is also an American company which has it's head office in Menomonee Falls, Wisconsin. 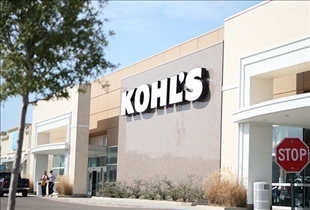 Kohl's has 1,059 stores in about 49 states. The people behind a large, well known corporation are the most successful people around. JCPenney was founded in Kemmerer, Wyoming in 1902 and is presently headed by Myron E. Ullman, chairman and CEO of JCPenney. On the other hand, Kohl's was founded in 1962 by Max Kohl who used to operate a traditional grocery store back in the days. Department stores are quite popular amongst women and some men love shopping them too. Departmental stores offer a wide variety of products - you name it, they got it. Two of the most popular departmental stores are JCPenney and Kohl's. 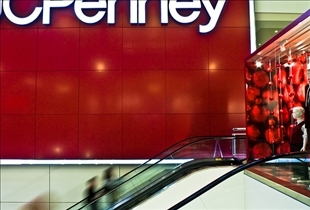 When it comes to revenue and income JCPenney seems to have the upper hand out of the two. Out of the two, JCPenney has the most assets. However, Kohl's also seems to be headed in the right direction and it's assets are growing. Both companies are headquartered in the United States and are have stores all over the U.S. Both Kohl's and JCPenney are headed by highly competent CEO(s) who are driving their companies in the right direction. Which department store has better clothes? kohls open store in puertorico??? went the puerto rico store openning day ??? In wath city of puerto rico will kohls open the NEW store ??????? ?